Imperial College London is a science-based institution, consistently rated amongst the world’s best universities. It is home to 14,700 students and 7,000 staff. 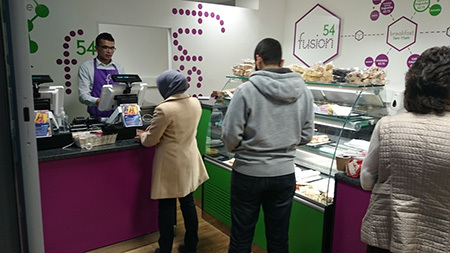 Fusion 54 opened in October 2014 and has now become one of the most popular eateries within the Imperial college campus. Its owners; the Bhasin family have run what us commonly referred to as ‘The Sandwich Shop’ on Gloucester Road for twenty-five years. 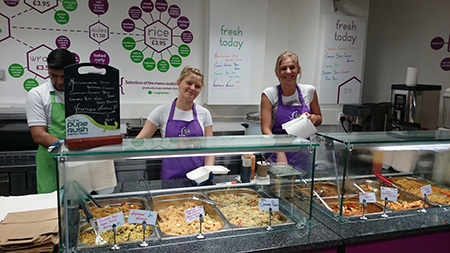 The Bhasins are proud of their food: nothing is stored overnight (everything is cooked on the day itself), resulting in what they believe is a better and more authentic experience than would otherwise be the case. 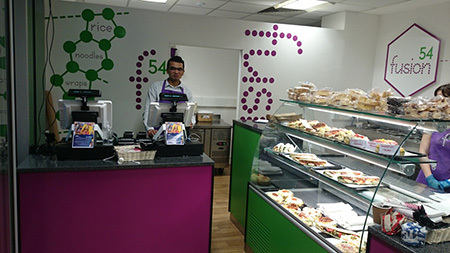 Fusion 54 needed EPOS that is easy to use and most importantly very fast to accurately record sales during the busy lunchtimes at Imperial College. The other key requirement was remote access to real time data. 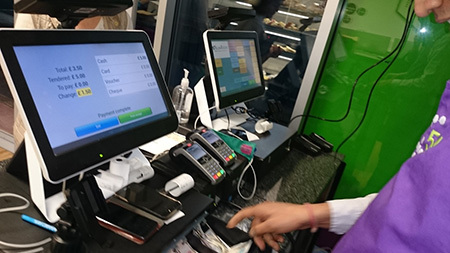 The hardware consists of 2 EcoPlus 15.6″ Android touch terminals each with customer displays and a STAR USB thermal receipt printer and cash drawer — all supplied and installed by AlfaRichi. AlfaRichi AlfaPoint software is running on each of these terminals and the customer uses AlfaLine cloud back office to see real time sales data and to update products, prices, promotions and other data as needed.